As we all know, all the businesses are having certain loopholes, which needs to be found through proper assessment and then removed in order to save the business from being further damaged. These loopholes should be found at the initial stages of your business so that your company do not suffer much as it starts to grow. Every business should rely on regular audits to ensure timely detection and successful removal of the problematic area. 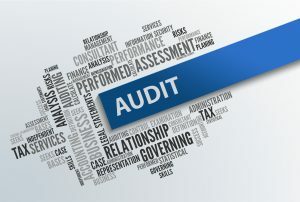 Required or not an audit is mandatory for every company, even the number of competent auditors is decreasing because lesser companies are required to have a statutory audit. For your shareholders, customers, employees, suppliers, investors and finance providers, add credibility to the published information. We can also provide you with ad hoc particularly targeted audits, compliance audits for PAYE, VAT and many other critical areas of your business. A monthly feedback report will be provided with a number of needful actions and recommendations. Our team will make sure all these services are completed efficiently and the process will be led by our team of qualified Chartered Accountants and Registered Auditors.